In a dazzling new literary biography, Daisy Dunn introduces Pliny the Younger, the survivor who became a Roman lawyer, senator, poet, collector of villas, curator of drains, and representative of the Emperor. He was confidant and friend to the great and good, an unparalleled chronicler of the Vesuvius catastrophe, and eyewitness to the terror of Emperor Domitian. The younger Pliny was adopted by his uncle, admiral of the fleet and author of the Natural History, an extraordinary compendium of knowledge and the world's first full-length encyclopaedia. The younger Pliny inherited his uncle's notebooks and carried their pearls of wisdom with him down the years. Daisy Dunn breathes vivid life back into the Plinys. Reading from the Natural History and the Younger Pliny's Letters, she resurrects the relationship between the two men to expose their beliefs on life, death and the natural world in the first century. 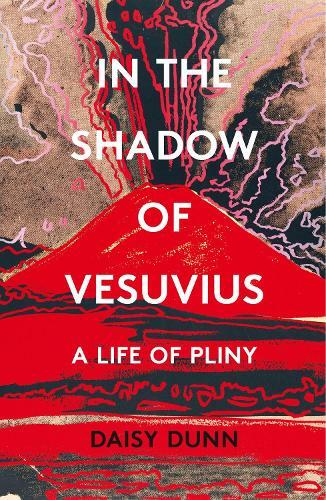 Interweaving their work, and positioning the Plinys in relation to the devastating eruption, Dunn's biography is a celebration of two outstanding minds of the Roman Empire, and their lasting influence on the world thereafter.